Set in AD 412 Alexandria, Egypt and based on historical events, this story of ambition, love and murder brings to life colorful characters and an exotic time and place. SELENE is bright, impulsive, stubborn, and a little spoiled by her father, a city councilor. Since her mother’s death, she longs to forgo the privileges of her class to become a physician—an impossible dream for rich Christian girls who never engage in a profession. But Selene perseveres and gains a powerful champion—HYPATIA, the renowned mathematician and Lady Philosopher of Alexandria. The old Christian Patriarch dies and the city splits in support of two candidates. After days of rioting, the Patriarch’s nephew CYRIL is proclaimed Patriarch and sets about consolidating the Christian sects and purging Alexandria of pagans and Jews. ORESTES, the new Augustal Prefect, struggles to keep the peace and also seeks the advice of Hypatia. He finds her a woman of enormous personal charm and astute political insight and places her first among his advisors, to the humiliation of the new Patriarch. These events set the stage for a contest of wills between Church and Empire. Selene struggles in her new life. Under Hypatia's guidance, she takes classes and apprentices in medicine. She gives up security and the love of a young man for the danger of poor neighborhoods and the hostility of her classmates. It's not long before Selene is unwittingly drawn into the deadly rivalry between Cyril and Orestes. She comes of age amidst riot, plague and political intrigue . But will Selene survive the consequences of her own ambitions and impulsive actions? Last year, after watching Agora, a movie about Hypatia of Alexandria, and despite the liberties taken to tell this story, I was captivated by the main character. The fact that the talented Rachel Weisz was playing the leading role made everything even better. I left the movie theatre craving for some more films and books set during the same historical period! When Faith. L. Justice kindly offered us a copy of her Selene of Alexandria I couldn't possibly resist. After reading about Selene's exploits in sports and her preference for running all around town with her brother and their best friend, I was expecting a real tomboy. If the young girl seems independent and sometimes a bit unconventional compared to other young ladies of her age and station, she is not less concerned by her appearance and femininity, especially after the arrival of the charismatic Orestes, the new Prefect. Despite her social background and her education, Selene wants something different for her, something normally out of reach for a woman and an aristocrat. She wants to be a physician. The young woman fears the reaction of her family who have some more traditional plans for her, and while her father's concerns for her future are obvious, the fact that he admires Hypatia and her work clearly make the situation easier. We can feel that he accepts his daughter's choice out of love but remains realistic and worried about her situation. Just like any other father with his daughter. This story is not only about Selene's life but also her friends: Hypatia, the renowned mathematician and philosopher who represented the Old World and a threat for many in Alexandria. I appreciated the fact that the author stayed close to the historical sources about Hypatia and didn't romanticized her death. The other secondary characters are also extremely captivating and I kept waiting for more passages about the mysterious Orestes or even Selene's servant and friend, Rebecca. The bishop Cyril can be sometimes a little excessive, but it makes sense with the growing tensions in town between the different communities. Which brings me to something quite important in this novel: I never felt any judgements from the author about the story and the religious confrontations. We have all the different points of view of the situation seen through the eyes of the different characters and while we might not agree with some of them, we can see the motives behind their actions. Alexandria's dailylife descriptions are vibrant and richly colored. I particulary enjoyed Selene's expeditions to Mother Nut while she was her apprentice. The old woman is a character larger than life, each scene was a true delicious moment. From the first pages, Selene of Alexandria captured all my attention and I knew right away that I was going to have a fantastic ride. Faith L. Justice weaved a wonderful story that only increased my curiosity for this time period and the charismatic Hypatia. Related post: You can read Faith L. Justice guest post: Why I Love... Strong Women. 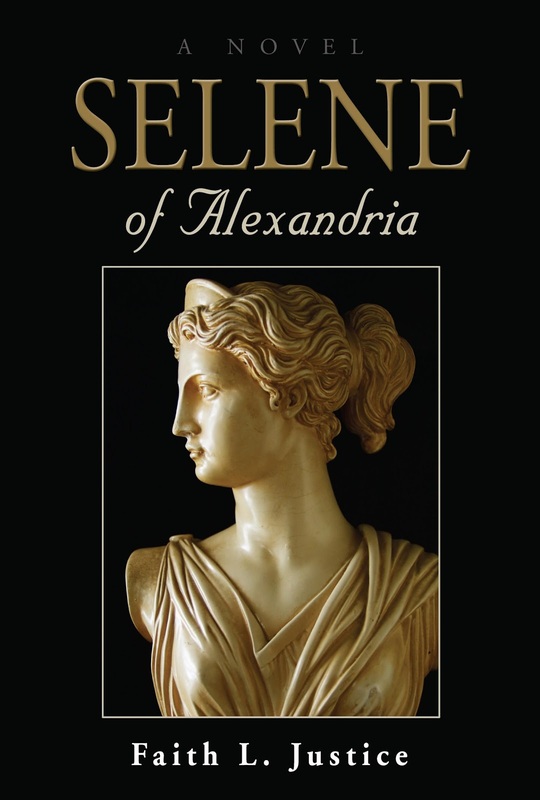 To win a gently read signed copy of Selene of Alexandria, just leave a comment. This book sounds awesome. I actually just saw Agora last week and thought it was wonderfully done. It was such an interesting story that I really knew nothing about. Please enter me for this book - like you, I would love to follow up more on the movie. I've been a reader of HF for years and years, but only recently read anything set outside of England, France, or America. This locale sounds intriguing. Thanks for the giveaway. Count me in for the giveaway! What a great book to help me venture out of English and French HF! I remember reading a book some time ago about a younf Greek woman who wanted to be a doctor9 or maybe it was a short documentary on TV ?). Anyway I greatly enjoyed that and I would love to try this book. Thanks for opening the giveaway to worldwide entries. This sounds interesting! I'd love to enter. Watched Agora but I thought it was little boring. Loved the idea and Rachel Weisz! It sounds wonderful - thanks for the opportunity to win a copy. Sounds like a great read! Please include me in the drawing for the giveaway! I am definitely interested. Great story. Thank you for the giveaway, please enter me in the drawing. 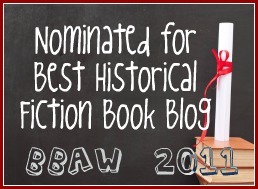 I'd love to win a copy -- it sounds truly fabulous! sounds amazing - count me in!